Railway station in Newport, Wales. Network Rail had a requirement to create a Road Rail Access Point (R.R.A.P.) at their railway station in Newport, Wales. 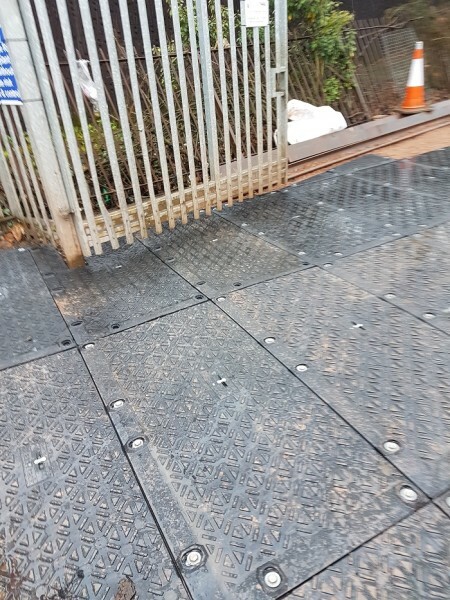 As part of planned electrification upgrades, safe, secure access was needed for construction vehicles such as 50 tonne road/rail excavators, dumper trucks and commercial vans. 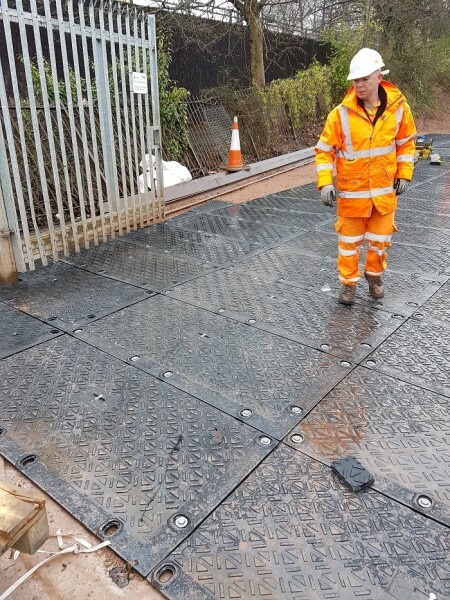 They wanted an alternative to just laying tarmac, which was likely to get damaged and which has very high reinstatement costs. 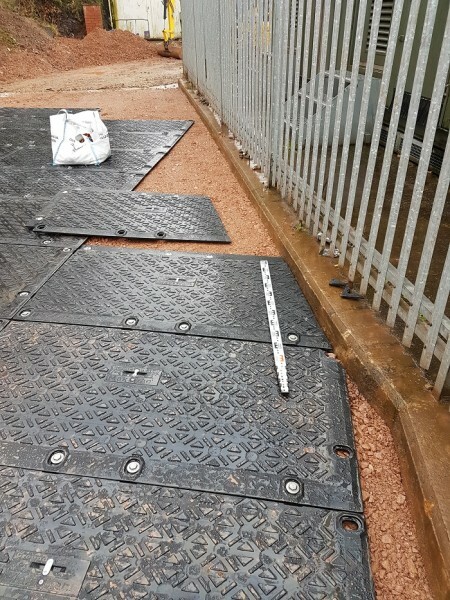 Ground-Guards recommended MaxiTrack: a strong, portable and reusable system of clever interlocking plastic mats. This cost-effective solution is simple to lay, quick to join and easy to pack up and reuse afterwards. 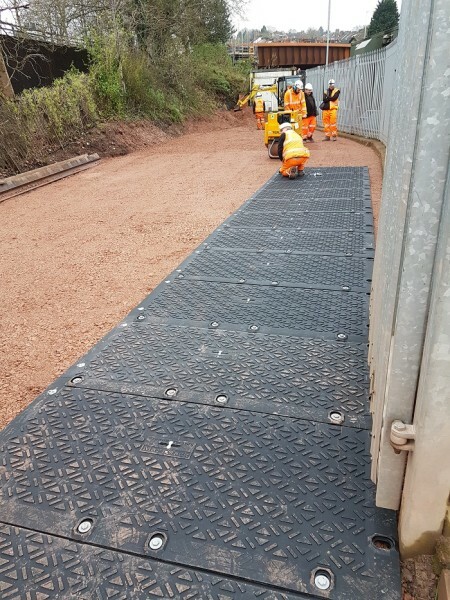 MaxiTrack’s modular format with secure fixings prevent the mats from moving, especially when manoeuvring around tight corners. Its exceptional SmartGrip tread provides a secure, non-slip surface. 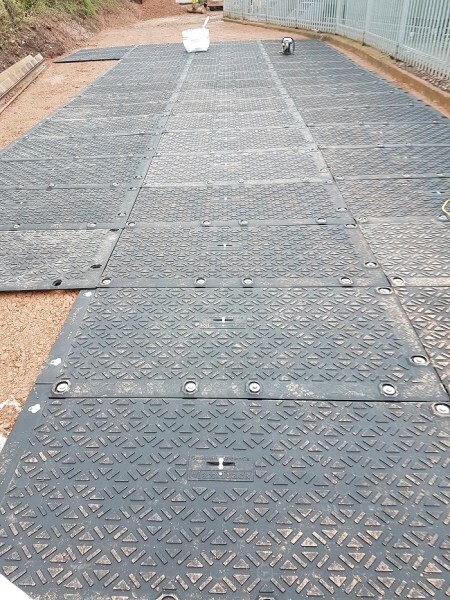 180 MaxiTrack mats were used to create a safe R.R.A.P, enabling crucial rail maintenance work to take place. 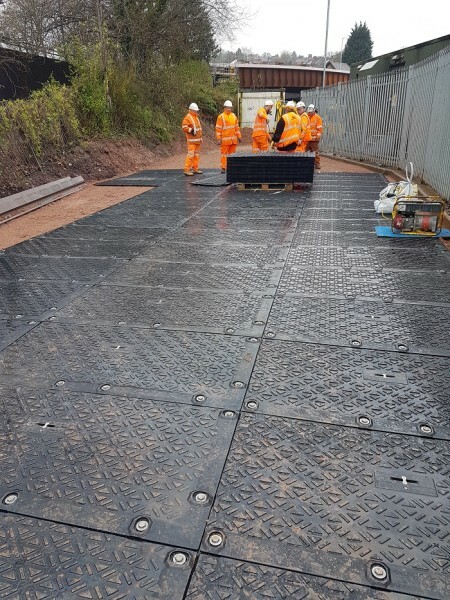 Network Rail found MaxiTrack to be a convenient and cost-effective solution.